Analog CCTV (Closed Circuit Television) security systems are popular for several reasons. First, they’ve been around for awhile. The tried and true simplicity of analog CCTV systems is hard to beat. Many come bundled together with all of the necessary components, and installation is as simple as plugging them in together correctly. Bundles are often sold at big box stores for seemingly good deals, and the convenience of the bundle makes them popular among consumers looking for a quick solution to their security needs. However, the virtues of IP (Internet Protocol) surveillance cannot be understated. They have significant benefits over traditional CCTV systems and allow the user with much more flexibility and options in terms of their usage. 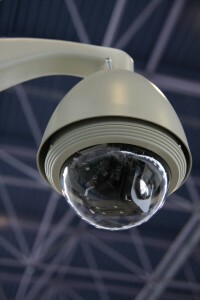 A sizeable advantage IP surveillance has over CCTV is the ease in which the system can be expanded. CCTV systems are inherently limited by the fact that they are closed systems, and as such are hardwired to accommodate only a certain number of cameras. IP systems on the other hand can easily be supplemented with any many additional cameras as the user desires. Superior resolution is another advantage that IP technology offers. CCTV technology is based off of NTSC standards that were set in the 1950’s, meaning that the quality of the resolution is limited to levels that were designed almost 70 years ago. Technology these days improves exponentially, and 70 year old technology doesn’t cut against IP’s resolution standards. The increased resolution of IP cameras also allows it to cover a wider viewing area. One multi-megapixel camera can easily take the place of 2 or 3 analog cameras. This translates to less money spent on camera purchases and maintenance. IP cameras also only require one network cable to transmit video and audio information, as opposed to CCTV cameras which require multiple cables. Furthermore, the network cable can be run to the nearest switch in an IP network as opposed to the central hub in a CCTV network. IP cameras can be remotely adjusted and can detect movement and alert the user via email, two more things that CCTV cameras cannot do. In summary, while CCTV cameras may be a quick security solution, they are not the most efficient, as IP camera technology offers the user significant advantages that he or she is likely to find invaluable. Security Systems in Baltimore from ARK Systems, Inc. This entry was posted on Thursday, August 22nd, 2013 at 2:13 pm. Both comments and pings are currently closed.